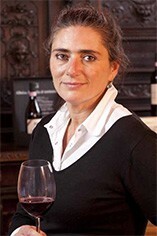 Marina Marcarino of Punset produces an authentic and fine Barbaresco style of wine. Destined to be an engineer by a family in the construction business, Marina rebelled and headed to the vineyards on their 17ha estate overlooking Neive; following in their footsteps of her grandmother, also a ‘contadina’. Trained in viticulture, she turned the property organic in 1982, certified in 1993. All the vineyards are grassed over, with the fruit being vinified traditionally in both cement and stainless steel, before being aged in a combination of used French tonneaux and slavonian botte grande. Punset has three Barbaresco vineyards: Basarin, San Cristoforo, and San Cristoforo ‘Campo Quadro’. The ground was hotter in 2010, built up over the long season (as compared to the freshness of 2011), combining to give richer, more balsam notes. 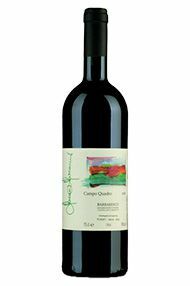 A longer, 35-day maceration, without the use of pressed juice, gave a sumptuously suave, free-flowing Barbaresco from the highest, Campo Quadro part of the San Cristoforo vineyard in Neive. There is a distinct distilled tea-tree, rosehip, clove and black-tea core to this gorgeous wine. It's got beautiful lines, very svelte with mocha or coffee bean, along with redcurrant skins. Destined to be an engineer thanks to a family construction business, Marina rebelled and headed to the vineyards on the family’s 17-hectare estate overlooking Neive, following in the footsteps of her grandmother. Trained in viticulture, she turned the property organic in 1982 (certified in 1993). All the vineyards are grassed over, with the fruit being vinified traditionally in both cement and stainless steel, before being aged in a combination of used French tonneaux and Slavonian botti. She has three Barbaresco vineyards: Basarin, San Cristoforo and San Cristoforo Campo Quadro. Bought straight from Punset’s cantina overlooking Neive, Marina’s 2004 Barbaresco San Cristoforo ‘Campo Quadro’ perfectly reflects this classic, slow-developing Nebbiolo vintage. It was a textbook season, coming after the baked 2003, with rain at regular intervals, giving classically ‘shaped’ Barbareschi and Baroli. As you would hope this wine, the top of her range, commands a wonderful presence, with delicate tea leaf and almost iron-like depth. Clos de Vougeot-esque? 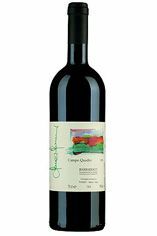 It’s certainly very assured, complete, with a deep garnet colour, and generous with constant, savoury, salato (salty) red fruit. Very impressive, with beef.